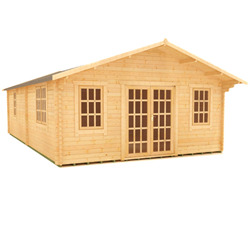 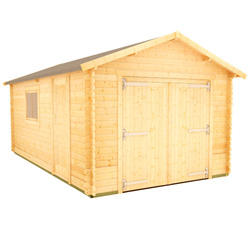 Our extra thick 44mm log cabins are manufactured to the highest quality standards. 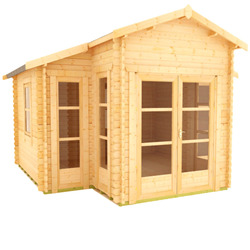 The extra thickness provides the added warmth, security and protection you need. 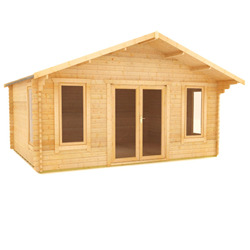 The log cabins come with a specially designed four way chamfered notch system to prevent damp or wind penetration. 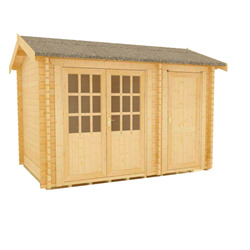 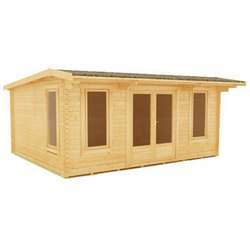 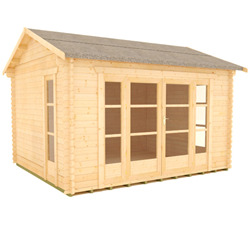 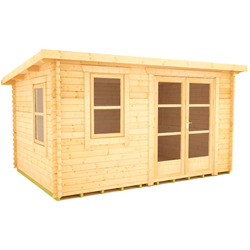 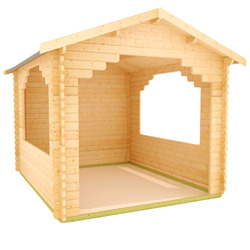 We offer free delivery on all 44mm log cabins. 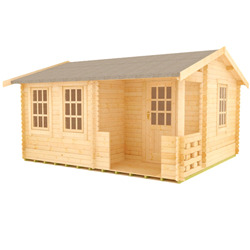 Find out more about our 44mm Log Cabins range. 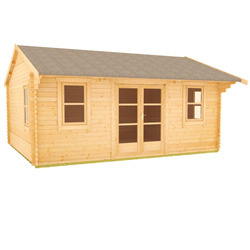 If you’re looking for a cabin that stands the test of time, a 44mm Tiger Sheds log cabin could be the answer. 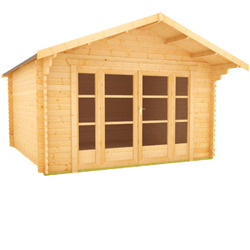 Tiger Sheds’ 44mm log cabin’s extra thick, four-way chamfered notch, fully interlocking, double tongue and groove log system prevents damp and wind penetration, offering security and warmth. 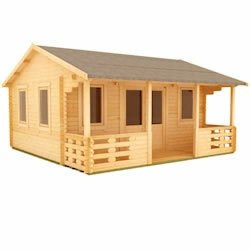 These log cabins make fantastic home offices, bedrooms and even a space to throw parties and events. 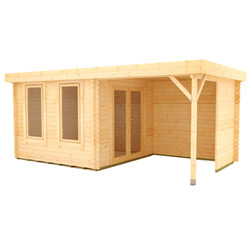 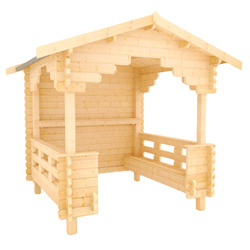 As with all of our log cabin designs, we offer a versatile, high-quality product at an affordable price. 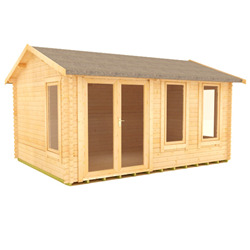 If you cannot see a building that matches your requirements, give us a call on 0113 205 4189 so we can create your own bespoke log cabin. 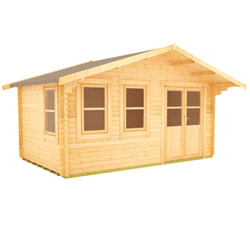 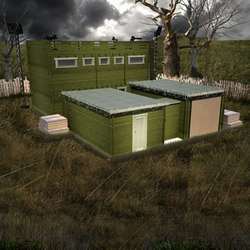 Our entire range of log cabins is delivered free throughout the UK.